JISS 2013 is a summer school being organized by O.P. 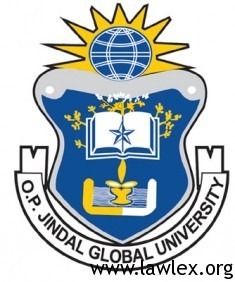 Jindal Global University from the 3rd – 23rd of June, 2013. Indian and overseas students between 15-18 years of age may apply.JISS 2013, organized by O.P. Jindal Global University, offers students from across the world a unique opportunity to meet and learn with distinguished academicians, practitioners, strategists and young scholars through holistic learning methods.Using a distinct combination of class room interaction, theatre, art, music and field trips, JISS aims to provide a platform to cultivate young minds, encourage creative thinking and shape their journey to become young leaders in a global world.Spread over a period of three weeks, JISS will allow participants to explore the various themes and contemporary debates in ethics and human rights; history, culture and society; and global politics and the emerging world order. Certificates of Participation will be provided to all the participants at the conclusion of the program. The launch of Jindal International Summer School took place on Friday, 1st march, 2013 at Constitution Club of India, Rafi Marg. It witnessed the presence of distinguished and eminent personalaities like Professor. Stephen P.Marks(Professor, Harvard University), Mr. Bill Robinson(Immediate Past President, The American Bar Associaion), Major General B.S. Daulta (AVSM, VSM, MD, Army Welfare Education Society), Dr. P.C. Jain(Principal, SRCC), Mr. Arun Kapur( Director, Vasant Valley School), Dr. D.R. Saini( Principal, D.P.S. R.K.Puram), Ms. Uma Ramachandran( Founding Members, Indus World Schools) and Ms. Monica Sahni(Head, Computer Sciences, D.P.S. Mathura Road). This launch was followed by the Panel Discussion on the topic, ‘Challenges of Transition from High Schools to Colleges and Universities. Professor Stephen P. Marks, Harvard School of Public Health, at the launch of JISS’13 identifies transition from high school to college as a time of confusion and identity crisis! JISS 2013 emphasizes on creative teaching strategies that are action oriented, participatory and peer based. Through seminar style teaching, Socratic enquiry, and analytical reasoning, participants will engage in intellectually stimulating debates and discussions. Experts in the relevant fields will teach the participants in various thematic sessions and help them develop a problem solving approach towards the issues at hand. Participants will be assessed on their performance based on weekly assignments/reaction papers/presentations on assigned topics. Study material for each module will be provided to the participants in advance.JISS draws on the rich historical and cultural heritage of India, enabling participants to take part in experiential field trips to complement the academic modules. JISS is offering scholarships to selected participants who will be shortlisted by the JISS Selection Committee on merit-based criteria. The selected participants shall be given up to 50 percent waiver of the Program Fee.All selected participants who complete their JISS registration by 25th April, 2013 will be eligible for scholarship subject to selection by the JISS Selection Committee.All selected participants can register online for JISS by logging on to .